Fans of anime and manga know all too well what Cyborg 009 is. Created by Shotaro Ishinomori, Cyborg 009 has been a manga, and anime, and a pop culture icon since it’s inception in 1964. This year, the property is becoming a comic book, straight from Archaia Entertainment. Now, when I say comic, I don’t mean translated manga coming stateside: no, that’s still a manga. I mean a comic book: a new, re-imagined take on Cyborg 009 with a distinct western comic book feel. As a way to show everyone exactly what to expect, they have released a Chapter 000, which is available for a mere dollar. So, how is it? In the seventeen pages included in this preview, I was thoroughly impressed. The essence of Cyborg 009 is still here, as is the iconic costumes and characters that comprise the variety of cyborgs. 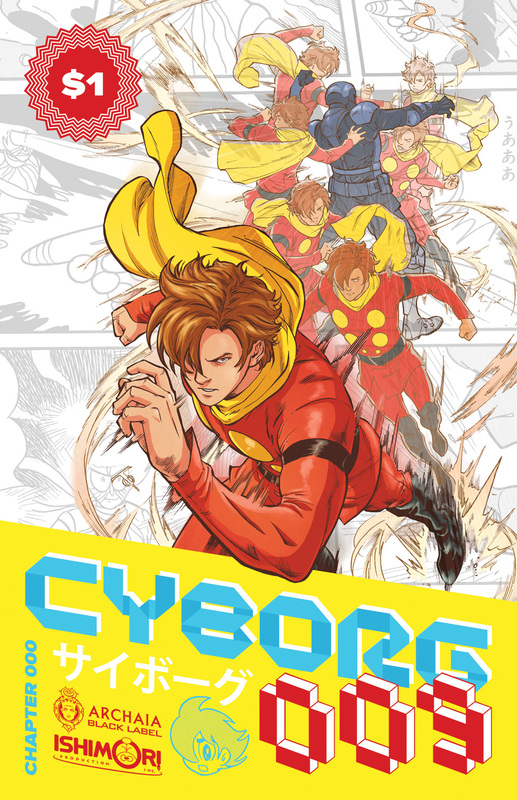 Written by F.J DeSanto and Bradley Cramp, with Marcus To (Batwing, Red Robin) providing the art, the book delivers the reader into the world of Cyborg 009, setting up the characters in grand fashion. The artwork, something I was worried about as the property changed from manga to comic book, is absolutely stunning. Very vibrant and lively, it pulls you in to the story and doesn’t let go. Also included in this preview book is an interview with the creative team behind the comic, which serves as a primer to those who may not be familiar with the manga or anime. Also provided is a background of Cyborg 009 creator Shotaro Ishinomori. This is an amazing deal, and a great way to try out something new. For $1, I can’t recommend this enough. The full graphic novel hits this summer, and I anxiously await the book, as I know many around the world are. Highly recommended, I give this book a perfect @@@@@ out of FIVE. There’s no reason not to go pick this up: you won’t regret it.